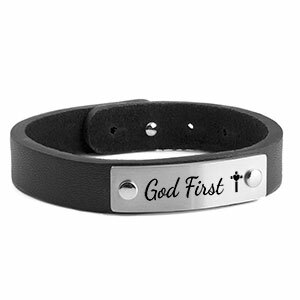 This custom bracelet is perfect for those who have chosen to put God First. It come's with the words God First and the cross heart symbol pre-engraved on it's non-corrosive brushed steel tag. This engraved bracelet is adjustable and looks fabulous on both men and women.